On Saturday, at a high school stadium in far North Austin, Oakman will try to revive his football career. 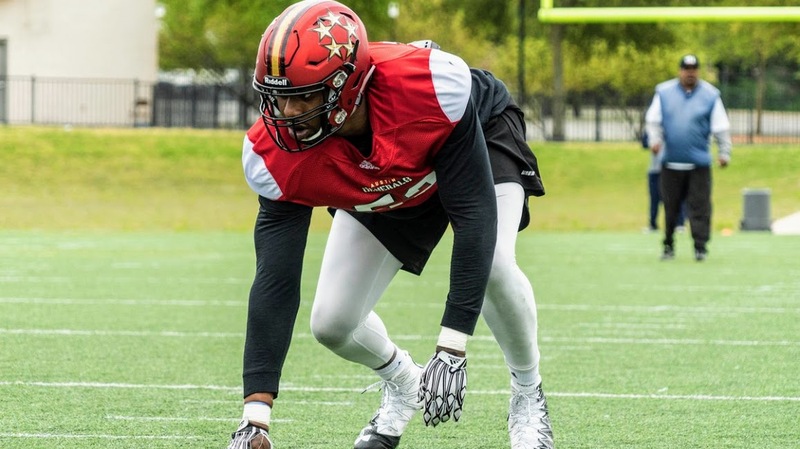 Earlier this week, he began participating in The Spring League with 170 others who also want to be seen and signed by the NFL, the Canadian Football League or even the XFL, which will start in a year. The Spring League divides players into four teams, and they practice each day at Kelly Reeves Athletic Complex. Scouts swing by to check out the workouts. There will be two games Saturday and a doubleheader Thursday. Brian Woods, The Spring League’s chief executive officer, said he expects scouts from seven to 10 pro teams to be in Austin on Saturday to see the games. The XFL is using the league as an incubator for rule changes it would like to implement next season when it makes its debut. XFL Commissioner Oliver Luck and four XFL coaches, including Bob Stoops, will be on hand for Saturday’s games.